This is a re-posting of an article I wrote for KnoxZine.com. It is 9,750 miles one way from Melbourne, Australia to Knoxville,Tennessee. 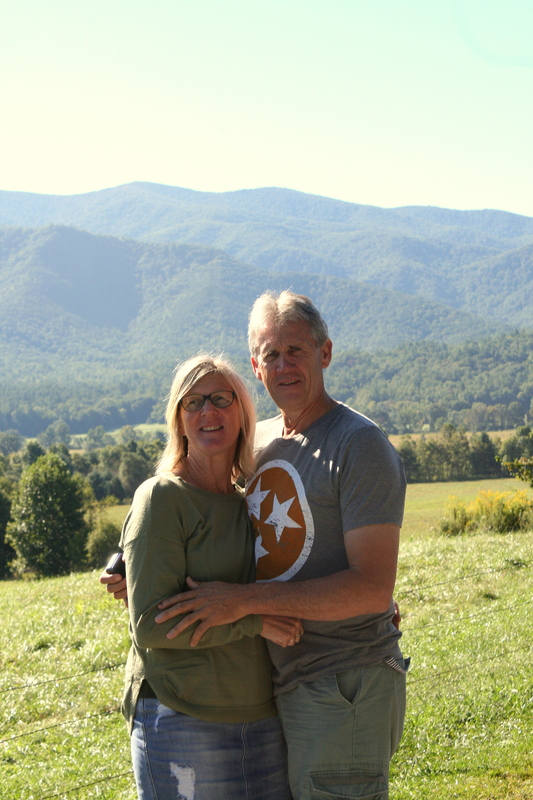 It’s a long way to travel to attend a few football games and concerts, but Graham and Debbie Blackley left their lovely home in Bairnsdale, Australia, for an authentic experience in Sevierville, Tennessee. 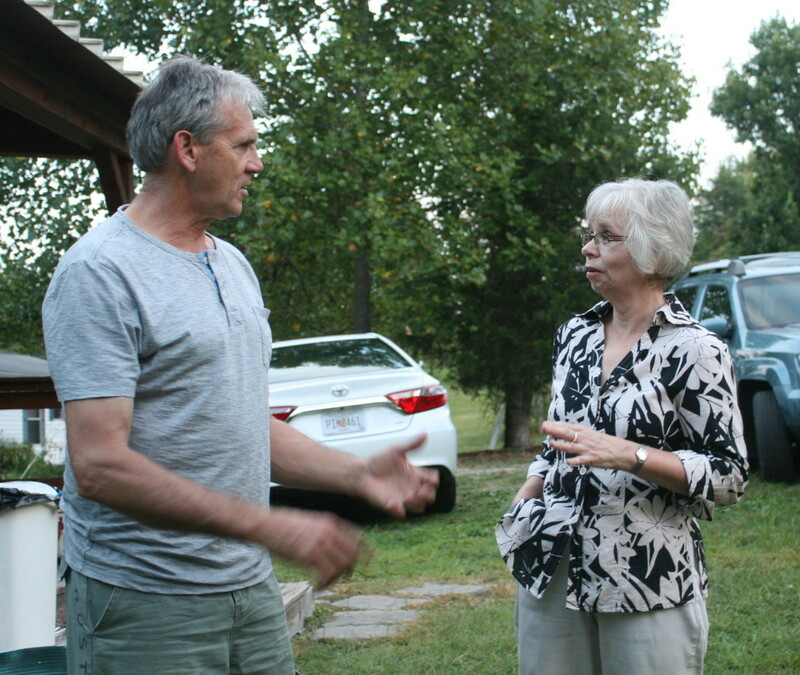 The Blackleys stayed in Karen Pyne’s Sevierville home for three weeks. Both Pyne and the Blackleys are members of the international Home Exchange.com which allows members to list their home, offering it as private living quarters for visitors. The exchange is a reciprocal agreement with Graham and Debbie using Karen’s home now, and Karen being able to use their home in return, at a time agreeable to both parties. While Karen has been a member for several years, the Blackleys recently joined. Graham explains, “We are anti-tourists hence we steer away from the tourist meccas. A service such as Home Exchange makes it possible to find places to stay which are different from a standard motel or hotel.” During the Blackleys stay, Karen vacated the premises and enjoyed camping in the mountains and visiting her daughter. How and why did you choose Sevierville? Graham: I have a life theory: if the mob all do the same thing, or head in the same direction, that must be the wrong way to go. We don’t like cities or crowds so we immediately eliminated the east and west coasts. The deep south and the flat central states also got the flick. We narrowed it down to here because we had good memories of traveling the south central region of Aquitaine in France, and Tennessee is very similar geographically. Karen’s home appealed to us [with] it being in a quiet spot surrounded by trees with water close by. 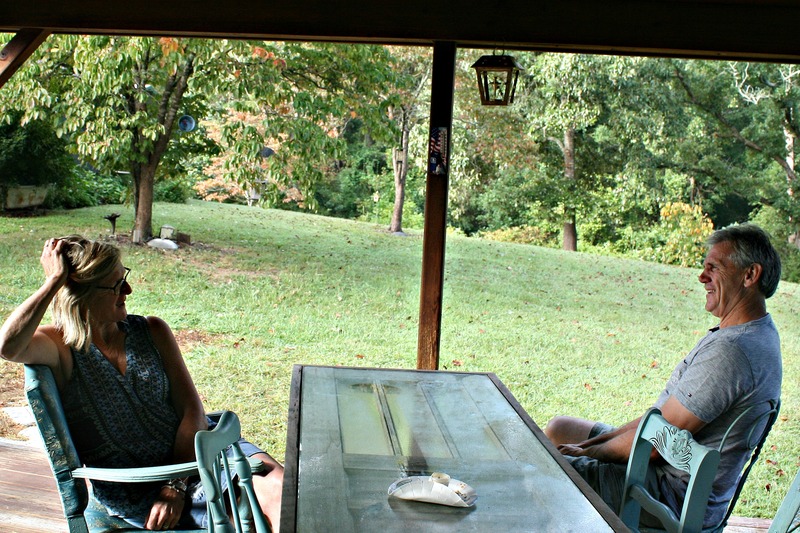 The Blackley’s relax in Karen Pyne’s backyard in Sevierville. Where do you live in Australia? Graham: Well, Australia has six states and two territories. Victoria is the state we live in. It’s southeast on the coast. I looked up some figures to check out how it compares to Tennessee and Victoria has 88,000 square miles compared to Tennessee’s 42,000, but close to a million fewer people. We live outside of town on 130 acres that is mostly pasture and woods. 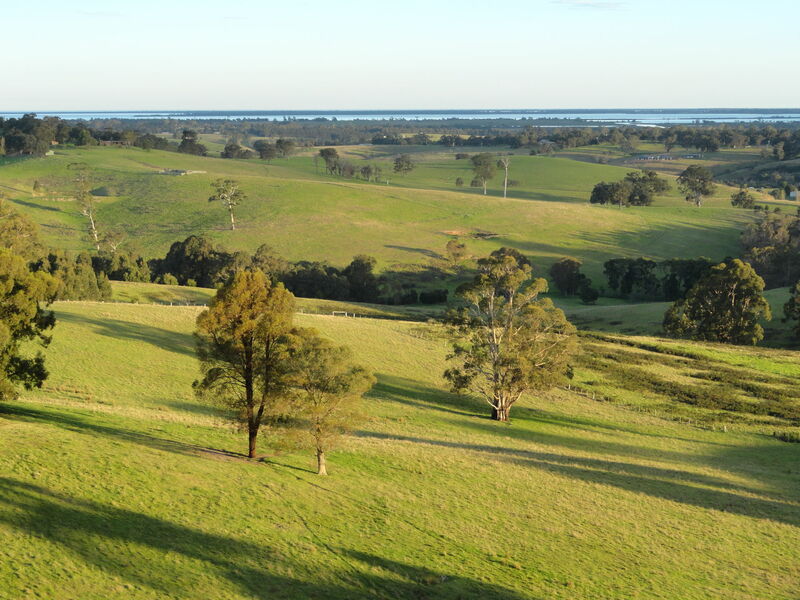 The nearest town is Bairnsdale with about 15,000 people. Used with permission from homeexchange.com. What did you do during your visit? Graham: When we made the exchange with Karen, I spent lots of time online looking at what things happened in East Tennessee so we had an idea of what we wanted to do before we arrived. I found that the Titans had a game in Nashville, which we went to, and then Karen’s daughter, Beth, and her son, Brock, took us to the UT and Oklahoma game. That was exciting. I know the Volunteers lost, but two overtimes! I am a cabinetmaker and wood crafter and I found the Tennessee Valley Woodworkers Association and contacted them. We arranged to attend a meeting in Manchester and they gave us a very warm welcome. Then we met friends of Karen’s in Knoxville, the Tevaults, and visited in their home. Don is also a wood carver. I enjoyed sharing stories with him and seeing his workshop. Graham talks books to Knoxville poet Linda Parsons Marion. We’re really into music, so I looked online for musical events and that took us to Bristol, Virginia, to the Rhythm and Roots Festival. It was outstanding. Debbie: Yeah, that was a great day. Friendly people all over the place. We even made the evening news! They interviewed us, said we came the longest distance. And we heard music downtown in Knoxville on the Market Square one evening. I got to try fried green tomatoes at the Bistro’s brunch before we went to a play downtown. I like browsing around in antique stores which put us in Clinton one day, looking around the shops. 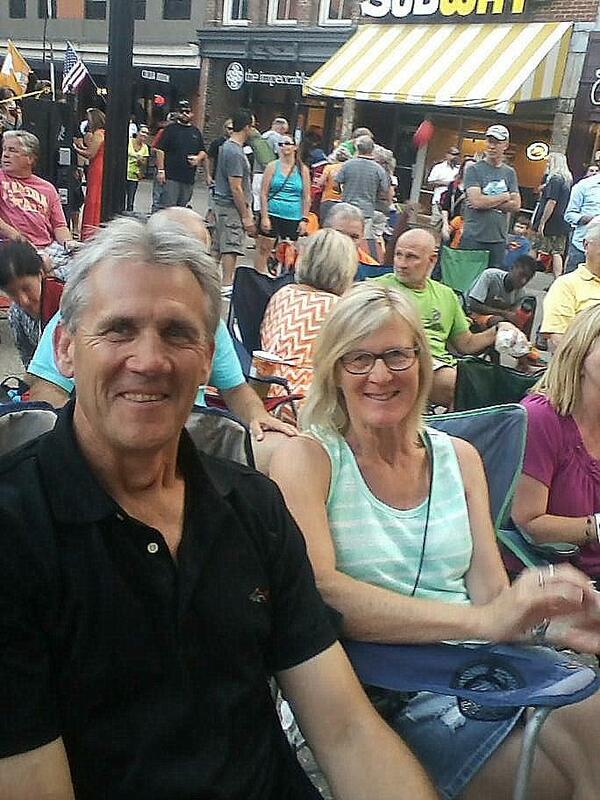 Graham & Debbie Blackley at a Market Square concert. What else do you count as highlights? Graham: Anytime we spent in the mountains. 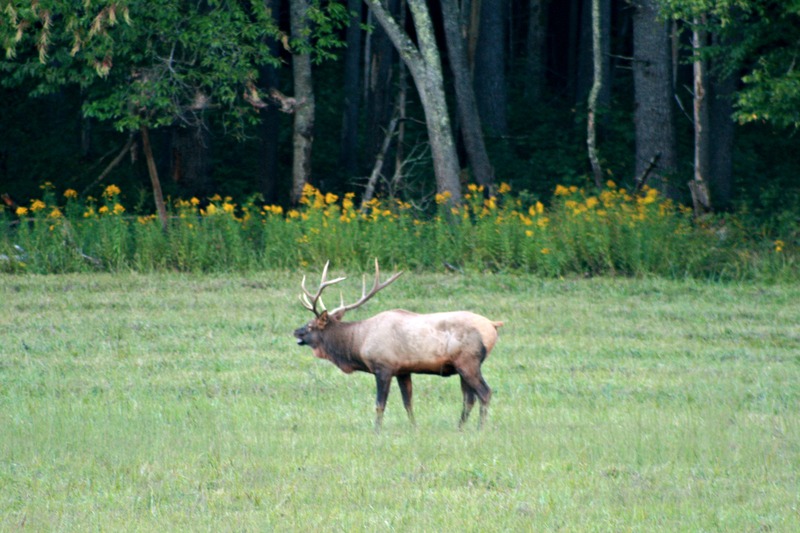 We enjoyed you taking us to Cades Cove, and hearing the elk bugling at Cataloochee was spectacular. One day we just took off driving and went to Cherokee. Beautiful, beautiful scenery. Debbie: Yes, the mountains. I got to see a bear at Cades Cove. Graham had seen them before in Canada, but I never had so I was thrilled about that. Let’s see, we saw elk, turkey, deer, the bear and two groundhogs. I was hoping for a skunk. We don’t have skunks or raccoons or squirrels in Australia. Karen has enough squirrels in her backyard that I don’t get excited over them anymore! Why did you visit Cherokee, NC? During my time as an educator…I placed considerable energy into improving the educational outcomes of Aboriginal students. I had an opportunity to travel to British Columbia and New Zealand to tour schools and meet with Indigenous teachers, Principals and Administrators. I read quite a bit about Native American history prior to our travels and saw the parallels with other Indigenous peoples as a result of European expansion and settlement. I had no time on our recent trip to engage in any way with the Cherokee…. I was keen however to visit the land of the people…and try to feel just a little of the story. 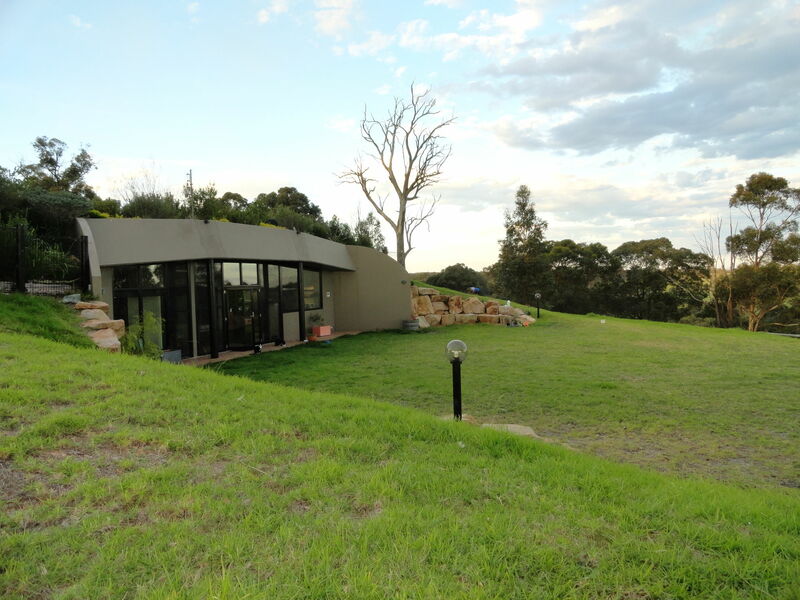 Tell me about your Australian home and those 130 acres. I understand it is partially underground? Graham: Yes, it’s an earth sheltered house. The east and west and roof are covered with soil so it is very heat efficient. We built the house ourselves except for a concrete bunker. A lot of the land is pasture and that’s rented out to a sheep farmer. We’ve got vegetable gardens and orchards with red currants and boysenberries, passion fruit, oranges, avocados, plums, olives and hazelnuts. We’re pretty self-sufficient when it comes to food. Everything harvested is canned, frozen, or dehydrated. I hunt and fish. We use the venison in place of beef, and lots of rabbit and fish. 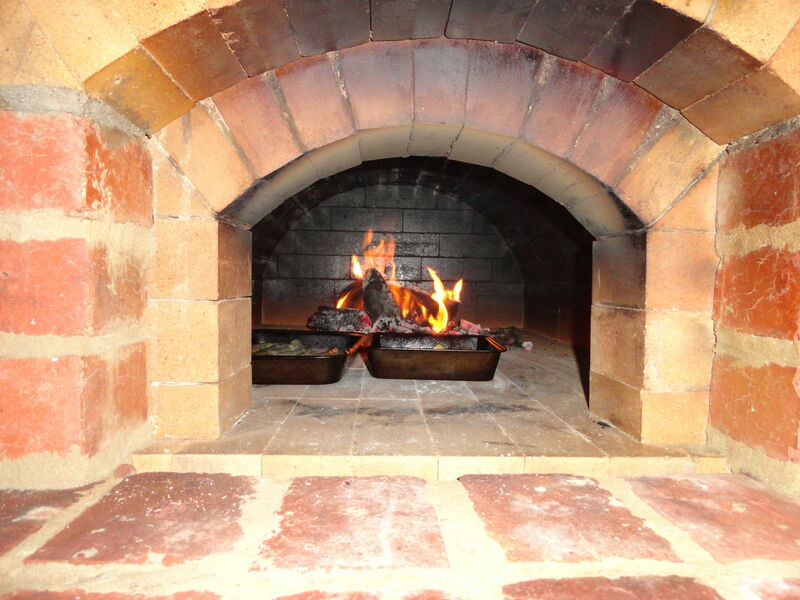 I made my own dehydrators for drying foods and a brick oven for making pizzas. I have to ask. Do you have kangaroos in your yard? Debbie: Yes, we have kangaroos and wombats and wallabies. The rail fences in Cades Cove gave Graham an idea of a fence to keep the wallabies out of the garden. We also have lots of parrots and cockatoos come to our yard. Australia, particularly in the south, has hundreds of species of birds: eagles, falcons, kites, honeyeaters. Lots of very colorful birds. 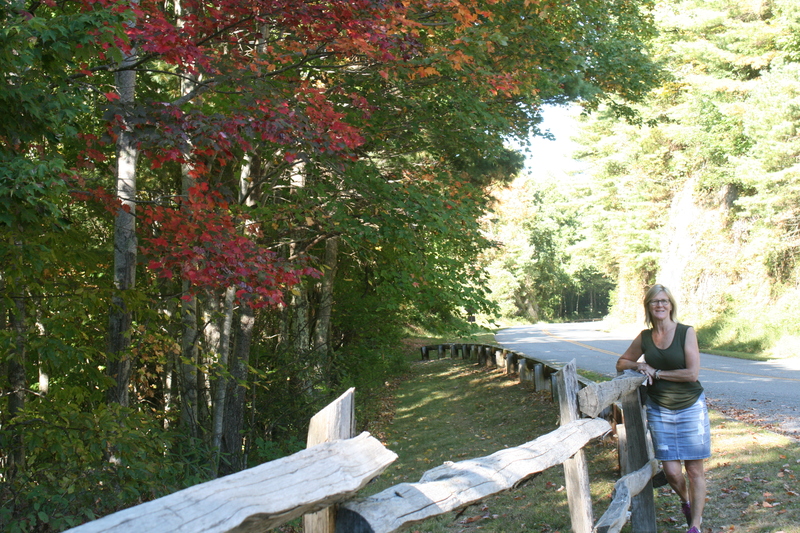 Debbie Blackley sees the first hints of fall at the Cataloochee Valley overlook. Graham, you said you were an anti-tourist, but you love to travel. What are you looking for when experiencing new places? Graham: In Stuart Wilde’s book, Infinite Self, which I highly recommend, he classifies people as ticktock people, those who are caught up in the drudgery and routine of life, and fringe dwellers. I like the latter. Fringe dwellers take steps to ensure they avoid groupthink mentality. We enjoy seeing the sights when we travel, but most of all we enjoy experiencing the culture. The way others live in their little corner of the world. We managed to radiate out in all directions from Sevierville, going to Nashville, Bristol, Manchester, and Cherokee. We even went to Brock’s school in Norris one day. A check of the mileage on our rental car put us at almost 2,000 miles at the end of our visit. 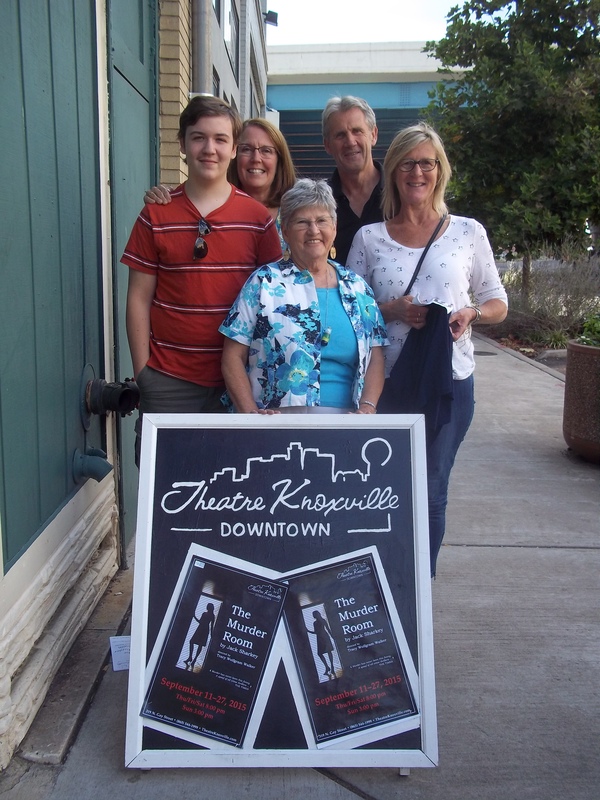 l to r, Maxwell Blackstock, Carole Romeiser, and Writer Judy S. Blackstock (center) enjoyed a play with the Blackleys. We ate out more in Tennessee than I think we have in the last 20 years at home. Food was really good quality, we thought, and cheap. At home it is expensive and the cheap stuff is cheap for a reason. So we deliberately ate at pit BBQs and pancake houses. We stopped anywhere that was different to home. At an antique shop in Bell Buckle, Tennessee, the local oatmeal cake was recommended, so we had that and fried pies too. We both came home about 3 KG (6.6 lbs.) heavier!! Debbie: Definitely. I would love to take a week and camp in the mountains. Any last thoughts?Graham: I like the idea of Tennessee because some things about it are everything I am not. For example, it is a Republican state, and I’m at the other end of the political spectrum. This however was even more reason for being here. We don’t think we have ever seen such a concentration of churches. We have churches here but participation seems far more optional. One interesting thing to me is something of southern culture I am unable to understand, but I thought of it after visiting in Seattle,Washington, our last stop before returning home. Washington does not seem to have soul. Tennessee does. I had heard of southern hospitality and to us, this seems very real. If you enjoyed this article, you might also enjoy How To Be a Conscientious Traveler. Please look for it on KnoxZine.com’s site and check out the other articles on the unusual, the wacky, and the strange! © Judy S. Blackstock, 2015.